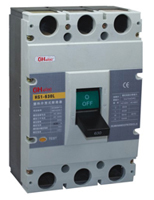 Molded Case Circuit Breakers HS1 series is a new designed MCCB developed and manufactured adopting international advanced technology. HS1 MCCB rated insulating voltage AC 800V is suitable for using in the circuit of AC 50Hz/60Hz,rated Voltage up to 690v,rated working current up to 630A to distribute electric power and to protect the line and the equipment from being damaged due to overload,short circuit and under-voltage. 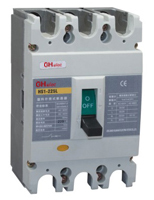 It can also be used for frequently switching and starting of motor and for motor overload,short circuit and under-voltage protections.HS1 MCCB comply with IEC60947-1,-2,-4&-5.